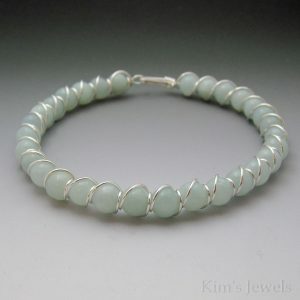 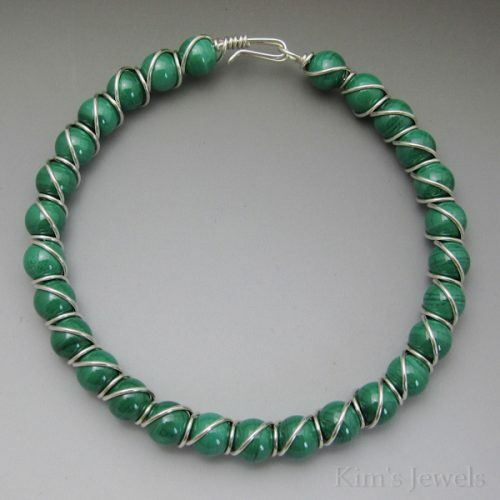 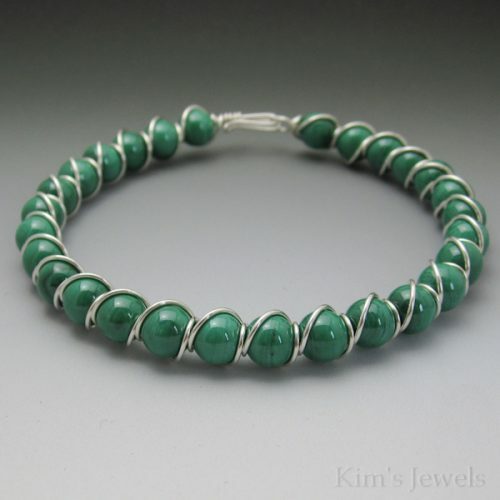 This bracelet is hand-crafted with 22 gauge sterling silver round wire and an arrangement of 6mm Malachite round beads. Malachite beads vary by strand. I make these to order. 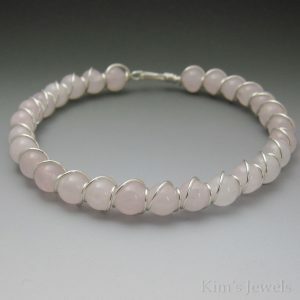 This is a representation of the bracelet you will receive. 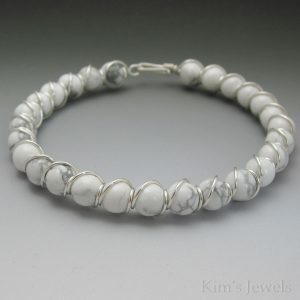 A stone of abundance as well as purification, healing dreams, and drawing out negative energies. 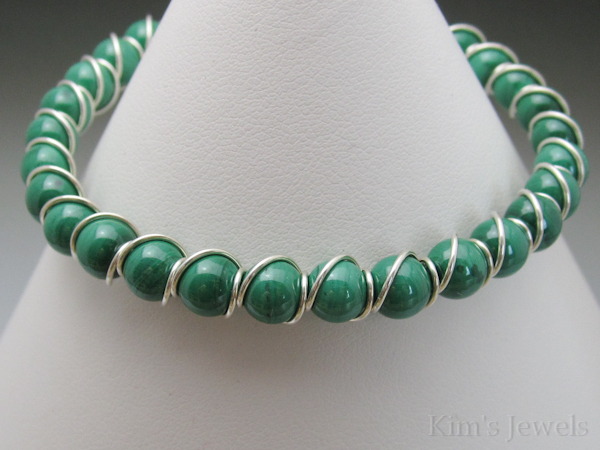 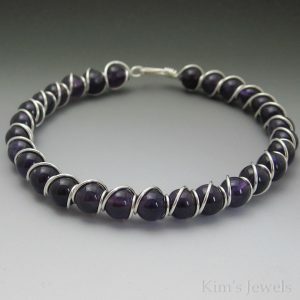 It is a protector, lending balance, healing and positive transformation to the wearer.